Manchester City strengthened their UEFA Champions League prospects after completing a 3-1 victory over West Bromwich Albion. Goals by Gabriel Jesus, Kevin De Bruyne and Yaya Toure ensured Pep Guardiola's side sit in third place, two points ahead of Liverpool, and three of fifth-placed Arsenal. 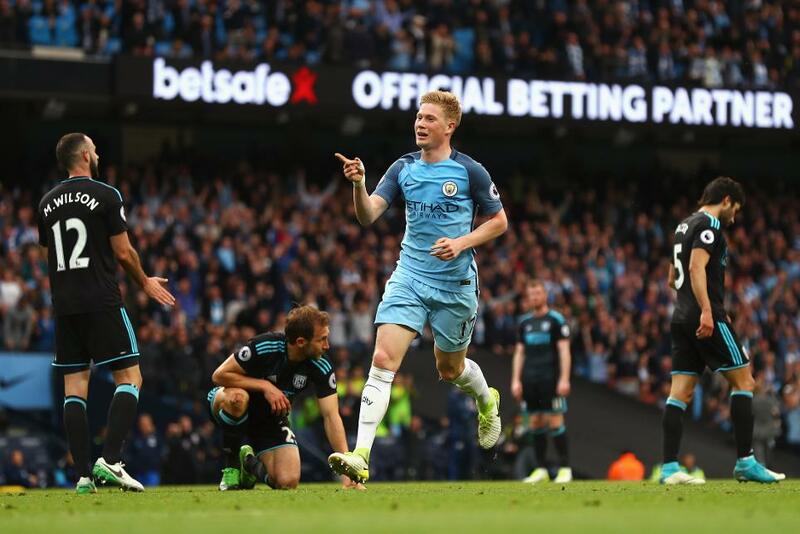 City started strongly with Ben Foster at full stretch to push out Aleksandar Kolarov’s 14th-minute free-kick and Leroy Sane driving wide, but were ahead on 27 minutes when De Bruyne raced on to Sergio Aguero’s flick to set up a tap-in for Jesus. Two minutes later Jesus turned provider for De Bruyne to beat Foster with a first-time shot. The third goal arrived on 57 minutes when Yaya Toure exchanged passes with Aguero and finished with assurance. West Brom scored a consolation goal when Hal Robson-Kanu struck on 87 minutes, but Tony Pulis's side drop to ninth, while a win for City against Watford on Sunday will ensure they finish the season in third.